The Egyptian Mau cat breed’s birthplace was Ancient Egypt. Artworks clearly depict this cat’s ancestors with the distinctive eye markings and spots. 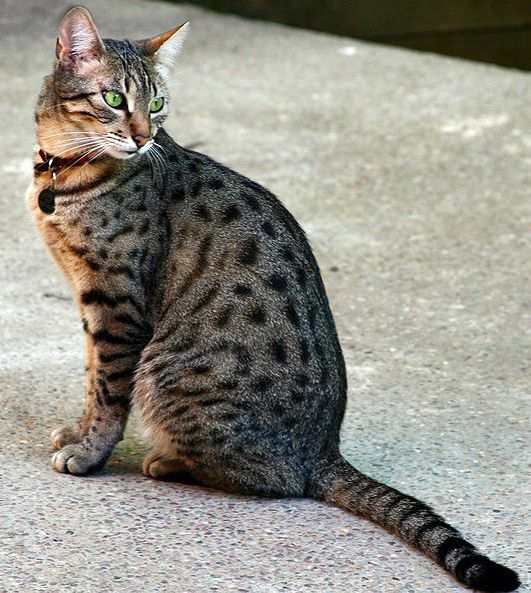 Geneticist Leslie Lyons has confirmed that the Egyptian Mau had its origins in Egypt because of genetic and archaeological evidence found there. This different cat breed first arrived in the USA in 1956 when Russian Princess Nathalie Troubetskoy imported three Egyptian Maus from Italy. She had been in exile from Russia in Italy after World War II. Two of these cats were females and one was a male. It took twenty years for this cat breed to get major recognition and in 1979 TICA accepted the Egyptian Mau. Gene pools were very limited in USA but due to dedicated breeders and imports, the overall quality of the Egyptian Mau has been improved to a winning cat breed in the competitive circuit. 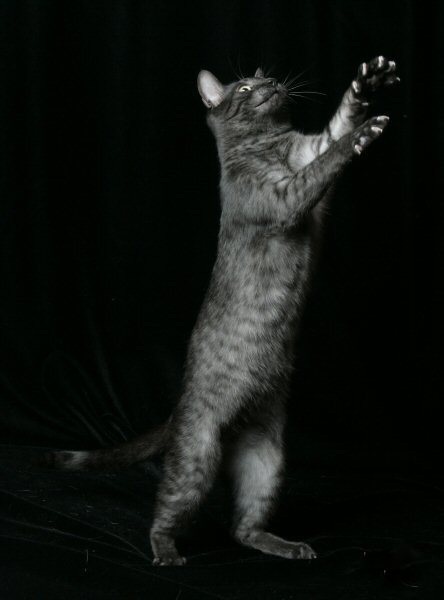 This regal cat breed is muscular and elegant and when standing, looks like it is on tip-toe. The coat is medium long and lustrous and three colors are accepted for competition: bronze, smoke and silver. The smoke color coat is fine and silky whilst the silver and bronze coats are dense and soft. The Egyptian Mau cat breed is the only natural spotted domestic cat. There is good contrast between the background color and pattern with the pattern being random with any shape or size of distinct spots. A mark in the shape of an “M” (often referred to as the mark of the scarab) is clearly seen on the forehead and a dorsal stripe runs the length of the spine to the end of the tail. The neck, upper chest, tail and legs are barred and the shoulders show a transition between spots and stripes. The eye color of the Egyptian Mau is gooseberry green (similar to a green grape but not as vivid) and the eyes are shaped like an almond. The slant towards the base of the ear gives the cat a worried look. The ears are medium to large and broad at the base. The head is wedge-shaped and slightly rounded. 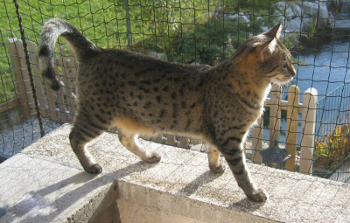 The Egyptian Mau has extraordinary scent, hearing, and sight powers and is very sensitive to its surrounds. The Egyptian Mau cat breed is a shy and sensitive cat breed that does not like loud noises and disruptions. It has a soft, chirping voice and is in general a friendly busy-body. This cat will form a very close bond with you and will be intensely loyal and loving towards his human. You will become the center of the Egyptian Mau’s world and you will not find it difficult to return the love and affection bestowed upon you. The Egyptian Mau cat is not a cat suited to indoor living. The Egyptian Mau cat is a robust, healthy cat breed. However, there have been a few issues with luxating patella (slipping kneecaps) but your breeder should be able to advise you about this condition. Do you have a story about your Egyptian Mau cat that you would like other cat lovers to hear about? This cat just showed up and I have been feeding him for 3 months, is this a Egyptian Mau? I had the sweetest little Kitty adopt me one night on my way home from the store. I'm not positive but I believe him to be a mau. Our 11 week old kitten has been found to have a severe heart murmur and we are now finding out that it is a problem in Mau's.